Self-driving cars; facial recognition; virtual assistants; real-time language translation. When most of us think of artificial intelligence, we think of emerging technologies like these. But what if I told you that the most potential for applying artificial intelligence is actually in healthcare? Over the last several years, we’ve seen healthcare traverse through significant changes: electronic medical records, value-based care, insurance marketplaces, and more. 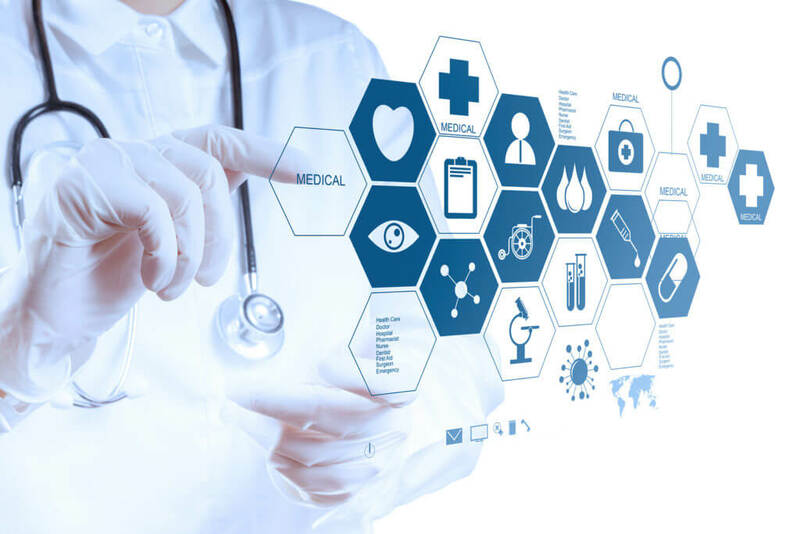 We’ve experienced (and continue to experience) the big data phenomenon, digitization and the IoT explosion; all leading the health IT market to grow exponentially year after year. New ways to use health data are appearing across every corner of the industry, and with the AI revolution amongst us, everyone is scrambling to figure out how to make AI work for their organizations. Last month, AI was center stage at HIMSS17, occupying multiple talk tracks and working its way into several keynotes. However, despite the deep interest, there exists some skepticism that the healthcare industry isn’t ready for mainstream deployment of AI. But the issue isn’t in the readiness; rather, it is in the challenge around making AI operational – integrating it into workflows and into applications that provide real value to healthcare organizations. Healthcare is not only ready for AI; it needs AI. Healthcare is ripe for intelligent applications because we have the data, the incentives, and the recognition to make it happen. The data. Whether it is financial, clinical, genomics, mobile, or social media, the sheer amount of data surfacing across payer and provider groups alike continues to be remarkable. Moreover, the progress we’ve made in the digitization of health records and in the interoperability of health care information, has paved the way for artificial intelligence. The incentives. The paradigm shift from volume to value has turned the healthcare system on it’s head. What is profit today may very well be cost in the future, and the incentives for health care providers and payers to effectively manage risk and anticipate costs and patient outcomes have never been more critical. The recognition. Perhaps most exciting is the widespread recognition that our healthcare system must transition to become predictive and prescriptive; that it must anticipate patient needs and outcomes just as Google or Amazon anticipates your searches and purchases. This level of patient-centric, personalized health may seem distant to some, but with AI, is becoming more achievable than ever. AI is already delivering operational insights that predict disease, anticipate patient needs, and deliver personalized healthcare. The possibilities for intelligent applications are boundless and span across diagnostics, care delivery, breakthrough medical discovery, and consumer-facing applications that encourage healthy behaviors and habits. At Ayasdi, we can uncover the potential of applied AI up close and personal. Whether it’s a physician who’s discovering and putting into practice a machine recommended care path, or a care manager using predictive risk trajectories to create tailored care plans, it’s without question that the power of AI and intelligent healthcare applications will soon reach everyone in the healthcare ecosystem. Think, for example, about its potential in helping doctors to diagnose and effectively treat diseases. Think about the billions (trillions, gazillions) of data points that are being gathered with all of the data sources I mentioned earlier —claims and financial records, EHRs, labs, imaging, mobile, and social, to name some. The power of AI to find patterns in all of this unimaginable data, and use, for instance, an individual’s genomic structure, to tell us what treatment would work best for that person, will be the norm in an AI-driven healthcare system. Critical information is lost in the mountains of data and it would take years to sort through all the data to find the correlations and clues between all of these data points. As big data gets bigger and bigger in healthcare, it’ll only become more of a challenge, becoming humanly impossible to translate this data into value. That’s why we find AI so exciting. Each patient is different, and the uniqueness in patient history, lifestyle, environment and other health factors contribute to unique needs for each person that can only be discovered through AI. And the potential doesn’t stop there. Leveraging AI for medical diagnostics, to discover those unique needs, and to tailor care for each individual, merely scratches the surface of the groundbreaking capabilities of AI. Over the next several weeks, we’ll be talking about what makes AI so exciting for healthcare; about intelligent applications that are driving real change in the industry, and most importantly, how healthcare organizations can make AI a part of their day-to-day operations. We look forward to you being a part of the discussion! For more on this topic, check out my book, The Patient Revolution.